When John Wozniak was 13, he engaged in a brief but memorable conversation with a Cherokee medicine man named Rolling Thunder. "So, tell me about this spirit following you around," said the elderly Native American. He continued, despite the boy's baffled expression, explaining that he could see a shapeshifter nearby. "It's a spirit that comes to teach us things through our life. Sometimes it plays a trick on us when we're not careful," warned Rolling Thunder. "You must be very powerful to have a spirit like that." "Too many people don't know that when they harm the earth they harm themselves, nor do they realize that when they harm themselves, they harm the earth." Rolling Thunder was a Shoshone/Cherokee medicine man, a healer, teacher, activist and lecturer. He spent years tirelessly working as an opponent of the clear cut destruction of the Great Basin region of Nevada and nuclear testing, defending Native sacred sites and burial grounds. As a spiritual leader concerned about the well being of all people, Rolling Thunder was thrust into a public leadership role during the 70s when he was a consultant for the popular "Billy Jack" movies. Following his instant fame, Rolling Thunder toured the United States speaking at universities, private establishments and medical centers concerning the eco-spiritual crisis facing the world. Rolling Thunder took the Holy Road home in 1997. "Everyone has their own identity and they have their own purpose in this world, and they have ways of finding out that identity and carrying out that purpose. No one should interfere with that. "The teachings don't come like some people think. You can't just sit down and talk about the truth. It doesn't work that way. You have to live it and be part of it and you might get to know it. It's slow and gradual. "Without self determination and self direction anyone is lost. Traditionals still live by codes of conduct that they have carried with them during all their history. These codes are essentially codes of mutual respect and are therefore guarantees of freedom. Strict guarantees for self direction and individual pursuit of purpose are a major part of the codes." Almost two-thirds of the earth's 6.1 billion people have either very limited or no access to pharmaceutical drugs. Instead, when these people become ill, they rely on a combination of luck, medicinal herbs and the hard-earned wisdom of their community elders. I'll never forget the time when I first learned how this type of medicine works. It was January 27, 1979 and, perhaps not inconsequentially, it was also the time of the moon's closest passage to the earth in 350 years. A small group of us, including several reporters, had been invited on this auspicious occasion to meet Rolling Thunder. In those days, Rolling Thunder was well known not only for having lent his name to Bob Dylan's famed travelling concert show, the "Rolling Thunder Review," but he had also been recently featured in a much-publicized biography that detailed the Cherokee medicine man's seemingly miraculous powers of healing. Wearing a worn Army jacket with three feathers attached to his headdress, Rolling Thunder looked every inch the wise sage that we had heard about. His deep-set eyes, clear and dark, were framed by bushy, gray brows. And when he spoke, his eyes danced like lightning and there was indeed thunder in his resonant voice. When a longhaired young man asked how he could become a medicine man, Rolling Thunder raised his brows and let him know with just the briefest flash that he wasn't yet ready. If one had to ask, that was the answer. "It takes time, lots of time," Rolling Thunder explained. 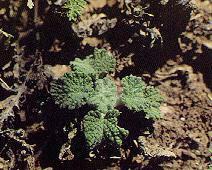 "You must learn to approach a plant humbly if you intend to take it for medicine. You make an offering and talk to it. By listening, you will know that you should only take the herb between sunrise and sunset." While medical professionals have often scoffed at such seemingly quaint instructions for collecting medicinal plants-a system that considers the health of the plant as well as the human-some are now starting to reconsider their thinking. Increasing scientific research confirms that the amount and type of light a plant receives will effect its chemical composition and certainly the plant's medicinal potency can vary greatly depending on which part is harvested and when. Regrettably, Western doctors from the founding days of this country have tended to look askance at Native American ways. The physician and signer to the Declaration of Independence, Benjamin Rush, put it with characteristic arrogance: "We have no discoveries in the materia medica to hope for from the Indians in North America. It would be a reproach to our schools of physic, if modern physicians were not more successful than the Indians, even in the treatment of their own diseases." This attitude persisted and spread throughout the 19th and early 20th Centuries, evolving to an unstated policy for the Office of Indian Affairs. Eventually, such thinking led to the education of Native Americans in white-dominated medical schools where, regrettably, even today not a trace of the time-honored wisdom of the Indian traditions can be found. Rolling Thunder passed on to the land of the Great Spirit a few years ago. When he did, he took with him a rare and irreplaceable library of plant knowledge. We can only hope that as the world starts to awaken to the importance of saving its biodiversity, it will also see the need to listen and record the words of the remaining tribal healers. If we somehow manage to save the rain forests and the high desert flora but, in the process, fail to record the words of those who most intimately know the healing secrets of these plants, centuries of time-tested data will disappear before our very eyes. Every case of sickness and pain has its reason. And it's always a price that's being paid, either for something past or something future. . . . We know that everything is the result of something and the cause of something else, and it goes on like a chain. You can't make the whole chain go away. Sometimes a certain sickness or pain is meant to be because it's the best possible price for something; you make that go away and the price becomes greater. The person himself may not know that, but his spirit knows it. A story from the Native American tradition, as told by Doug Boyd in the book "Rolling Thunder", published in 1974. Rolling Thunder is a well known Cherokee medicine man that Doug Boyd spent time with in the early 1970's. The tent was down and nearly folded when Rolling Thunder drove into camp with Alice. Spotted Eagle ran back to the main tent to fold up Alice's camp chairs and Coleman stove. Alice came down the path toward me, walking very fast. "I want to tell you something," she puffed. "I had the most interesting experience gathering herbs up there," she said, "and I'm so anxious to tell you about it. It couldn't have happened without Rolling Thunder, I know, but I actually communicated with the bees. I actually talked to them and they understood." She was excited. "Rolling Thunder told me on the way back. He said, 'Now you tell Doug first and then you write it all down.' He said that you should write about the mind and consciousness things, and that I should write about animals and wildlife. Is that what you are doing?" "Well, maybe. I guess so, sort of," I answered. "Well, you should. Anyway, we went to get horehound plants up there near the old ranch. Rolling Thunder knew right where they were. He agreed to show me because he knew I needed horehounds. As soon as we got there Rolling Thunder made his prayer and his offering. Then I saw that the plants were absolutely covered with bees. I'm deathly afraid of bees; it frightens me just to look at them and they always sting me. So I just didn't know what to do. I was just ready to leave. Well, Rolling Thunder talked to me; he was so kind and gentle. He sensed what I was feeling, without my saying anything. He told me I was really not afraid of animals or any living thing. I only thought I was. And he reminded me how I had always loved animals and had taken care of them on a farm in my childhood. "So he told me what to say to the bees. I was supposed to ask the bees to share the plants with me, to tell them I wouldn't harm them, and to explain that I needed the plants for good medicine, but I would leave enough for the bees and for seeds for the coming year. He told me to say it loud and clear. He said he would be sitting behind me, and he wanted to be able to hear my voice. I did as he said, and, do you know, the bees actually understood me, and they moved! I just can't describe how I felt. All the bees on the plant I was looking at moved. They all moved together to the back of the plant. I took only the front half of the plant which they had left me, and then I moved to another plant covered with bees, and the same thing happened again! On one of the plants, when the bees moved back and I started to cut, they all made the strangest buzzing sound. It felt as though they were somehow speaking, telling me to stop, and I was understanding. I looked at Rolling Thunder and he said, 'There now, you see? You and the bees have agreed to share and now you're cutting back too far. They'll expect you, now, to do as you said.' So I cut only the front half very carefully. Then Rolling Thunder came up to me." She paused and she appeared to be filled with emotion. "And he said that this was a gift of the Great Spirit!" Taken from the book, Rolling Thunder: A personal exploration into the secret healing powers of an American Indian medicine man, by Doug Boyd. Mad Bear said: "The purpose of good medicine is to make it simple. others--you're in a perfect position to receive their contempt. them. The idea is to have contempt for crime, not for people. same seed, the seed of the whole creation." Rolling Thunder said, 'The medicine power is not dying out. In fact, it is coming again to many of our young people. Years ago they were saying that one day there would be no medicine people; but we were not fooled at all, we knew that we would not die out. We knew that one day, as though it had begun overnight, the power would be seen to be returning again. Now it is coming back strong'."